If you're in the market for a brand new Apple iPad with a good amount of storage, we've got a stellar discount for you. Amazon has slashed the price of the 9.7-inch Apple iPad, which launched in early 2018. The hugely-popular tablet is now available for £379.98. That's a healthy £29 discount on the usual £409 price tag. The discount is available on the 128GB model – the most amount of storage on offer with the latest 9.7-inch tablet. The 128GB model should have more than enough storage to keep your games, apps, videos, and photo library locally on the device. The entry-level 32GB model is a very different story and you'll almost certainly need to plump for Apple's iCloud storage plans to store everything on your shiny new gadget. Since there's no option to expand the amount of storage in your iPad after your purchase, it's worth opting for the biggest option in your budget. That's why this latest discount is so exciting. So yes, if you'd rather pick up this iPad deal in a slightly less flashy finish you can get it for just £389.97 in Space Grey or Silver. 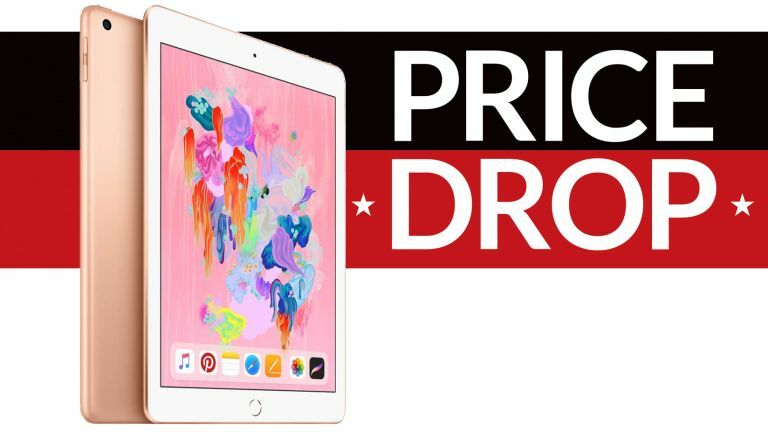 If you'd prefer to check out even more options for different models, why not head on over to our full guide to the cheapest iPad sale prices and deals. If you need something with even more power for work and creative editing then we've got you covered for the latest iPad Pro prices, too.